Kim & Jason have been waiting very patiently for their sneak peek. 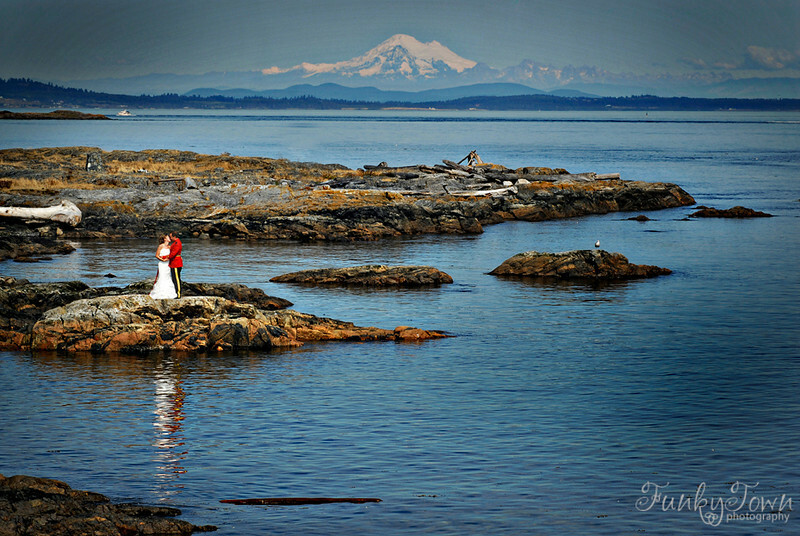 When these Ontarians told us they chose Victoria as the destination for their ceremony in part because they wanted FunkyTown to photograph their wedding, it flattered the pants off us! 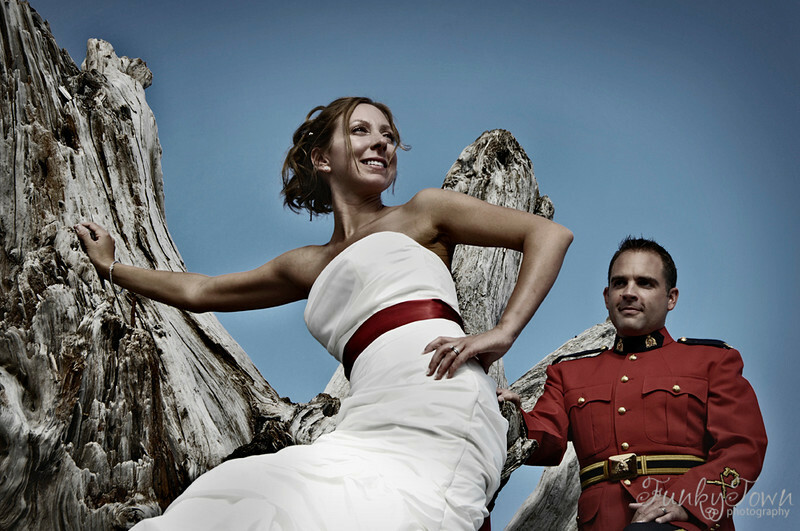 We loved the splash of red in Kim’s dress – very appropriate considering she’s also an RCMP officer. The boots you see in the pics are hers as well. Since these two allowed FOUR FULL HOURS of photography, we were lucky to have a lot of time to experiment and have fun. The fact that we were able to have so much variety means I’m going to overload this blog with pictures and I’m afraid there isn’t enough room for their ceremony. Ack! Working with Kim & Jason was an absolute dream and we are incredibly excited to share these pictures with them. 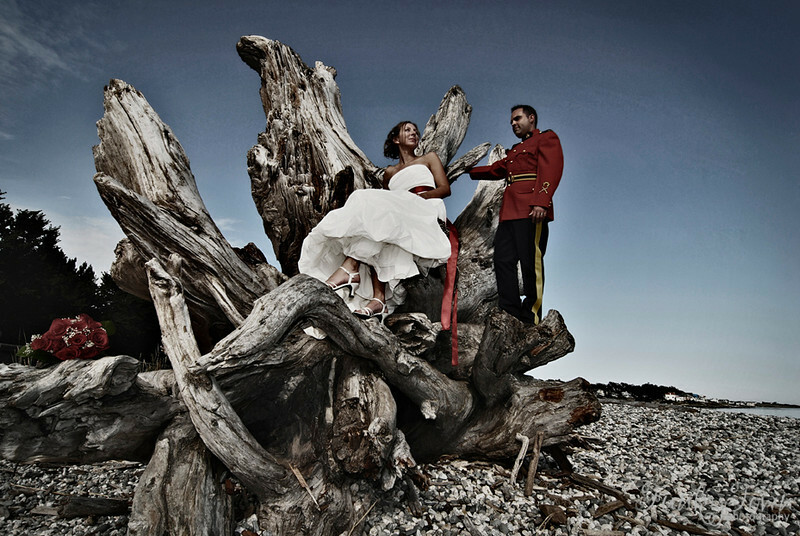 Congratulations Kim & Jason – enjoy the pictures!